What happens when you combine the magic of meeting Mickey Mouse in person with Disney World's FastPass+ program? You get a great way to meet your favorite Disney character without waiting in line! Guests visiting the Magic Kingdom theme park can stop by Mickey's new greeting spot, the Town Square Theater, located just to the right of the railway station as you enter the park. 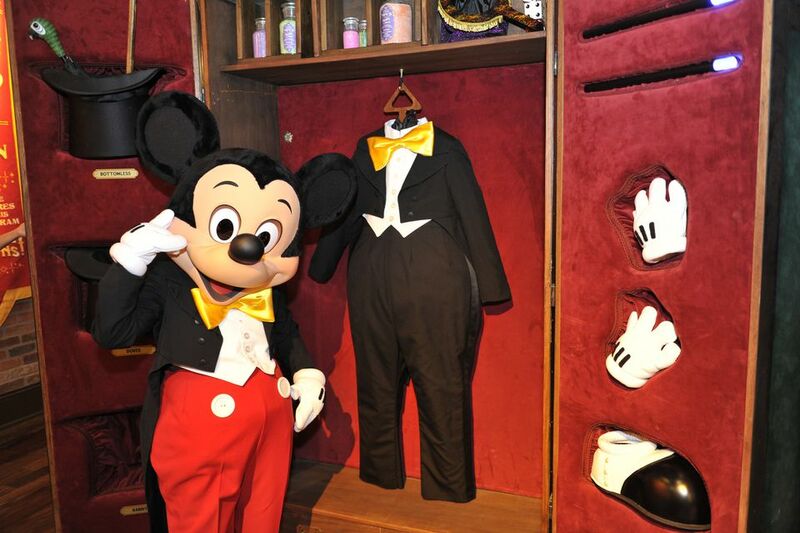 Not only will visitors get a chance to meet Mickey Mouse in person (and tour his dressing room "behind the scenes"), but they won't have to wait in a long line to do so. Simply visit the FastPass+ machine located next to the theater or make a FastPass+ reservation online through your My Disney Experience, then come back at the appointed time. Fantasyland is home to all of the Disney princesses. The best way to meet them all is to the Princess Fairytale Hall, where princess fans can meet and greet their favorite Disney royals. It's a must for every little princess to visit Princess Fairytale Hall — they'll personally chat up their favorite royal, get an autograph, and take a picture for a lasting memory. FastPass+ reservations can be made here as well. This is an indoor location, so you can visit in comfort at any time of day, even if you visit Disney World in the summertime. Bring your autograph book and camera to capture the moment. For your convenience, Disney's PhotoPass photographers are available at most character greeting locations. Use your best character greeting manners when you meet Mickey Mouse or the princesses. Can't get enough Mickey Mouse? Check out our list of the best places to see Mickey when you visit Disney World! Meet Doc McStuffins at Disney's Animal Kingdom Conservation Station. See Buzz Lightyear in Tomorrowland, right by the exit of the PeopleMover ride. Meet Daisy, Donald, and Minnie near Pete's Silly Slideshow in the Magic Kingdom. Fans of specific Disney characters can visit certain areas of the parks to see the characters in person or experience character-themed rides and attractions. Disney Junior fans can see shows or dine with their favorite characters at Disney's Hollywood Studios. Mickey Mouse fans can find him throughout the theme parks. After all, he owns the place! Ahoy mateys! Pirate fans will find all their adventures at Disney's Magic Kingdom. Hey Duuude! Pixar fans can interact with Toy Story characters and Crush. As the highly anticipated Star Wars-themed land becomes a reality, Star Wars fans will experience an ever-expanding number of attractions and character meet and greets. Winnie the Pooh fans can find him throughout the theme parks. To the surprise of villain fans, villains can be found in surprising places.